​ DALLAS – One of the country's largest planning and engineering firms is moving its North Texas regional office to the Galleria Dallas project on LBJ Fwy. 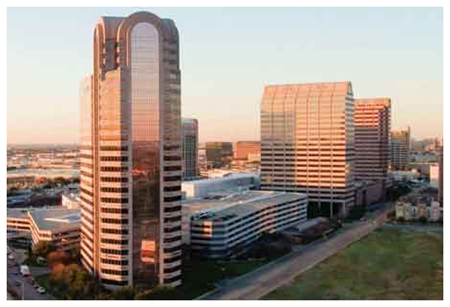 Kimley-Horn has rented 45,646 sf in the Galleria Office Towers located adjacent to the Galleria shopping mall. Kimley-Horn's lease in Two Galleria Tower at 13455 Noel Rd. is the largest move to the project since the owners began a $19 million redo of the 1980s office tower complex. Galleria Office Towers are owned by CBRE Global Investors and include more than 1.4 million sf of office space. Major tenants include MetLife, Ryan, Morgan Stanley and Merrill Lynch. Kimley-Horn will move into its new office in July 2017.